Going to a tropical paradise is a dream for many people, and Hawaii is right on top of the list of the most desired tourist destinations. Due to its amazing offer, this little state in the middle of the Pacific attracts visitors all year round, and they are fascinated by the sheer beauty of this place. No matter the time of the year, Hawaii has something to offer, and you will not be sorry if you contact a travel agency and book a holiday as soon as possible. There is just so much to do and see once you land at these volcanic islands that you will be overwhelmed by the abundance of options and with the number of activities that await you. 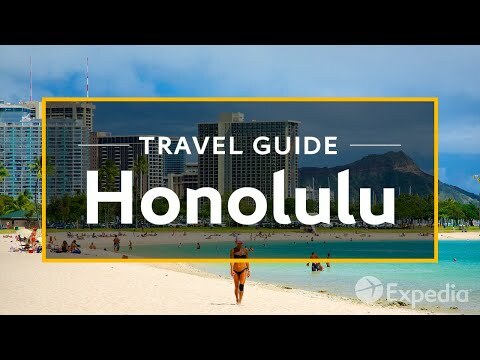 Unfortunately, some people are unaware of all the potential of Hawaii, and here is a short guide on some of the best attractions that you will have the chance to explore during your vacation. Even though the majority of tourists are immediately hitting the beaches when they land on one of the islands, some of them are slightly more proactive in their selection of activities and hiking is their method of seeing the natural wonders. One of the most memorable destinations in Hawaii is the Volcanoes National Park, and you cannot resist the feeling of excitement and admiration for the powerful and still active volcano Kilauea, which breathes and moves somewhere deep beneath your feet. Halemaumau Crater is also a majestic location, and tourists can also see the beautiful spot where hot lava meets the ocean. The native Hawaiian people left a lot of monuments and pieces of evidence of their culture, and Puukohola Heiau is a National Historic Site that will provide you with the chance to familiarize yourself with the religion and folklore of the old Hawaii. Heiau is the word for temple, and Puukohola is a majestic stone fortress that was supposed to fulfill an ancient prophecy. It is located on the scenic Kohala Coast, and this sacred place of worship is preserved and restored to its formed glory. Hawaii offers a lot more, and this list could easily include locations such as Perl Harbor, Waikiki Beach, and so on. Kona Coast, which offers manta ray diving is another prominent place, but you will simply have to book a ticket and explore all the possibilities that await you in the land of the hula dance.